Aging in place is about choosing where and how we want to live as we age. The most important part of that choice is the ability to live comfortably in one place, even if our health and care needs change. 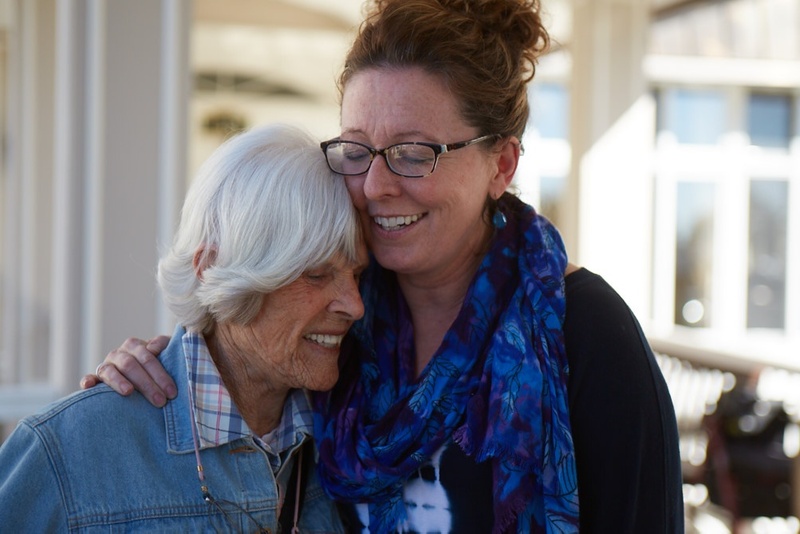 Our experience has taught us that seniors who have that reassurance live a more fulfilled, active, and engaged life. If you’re considering moving to an aging in place community, we’ve put together some of the important questions you’ll want to ask —and answer — as you start your planning. Your current home. When considering staying in your current home, think: Will your home serve your needs in the future? For example, if you live in a split level with several sets of stairs, will this still work for you 10, 20, or 30 years down the road? Even if the answer is “no,” that doesn’t mean you have to automatically discount this as an option. You may want to consider remodeling or adding assistive technology — such as stair lifts — to your home. Work with family members or even a remodeling expert to determine what will be best for you and your health as you age. A new home. If you’ve decided that a move is in order, take time to shop around for the best location and home that fits your needs and desires, both now and in the future. Often older adults move closer to family members who can support their changing needs and provide a stronger sense of community. 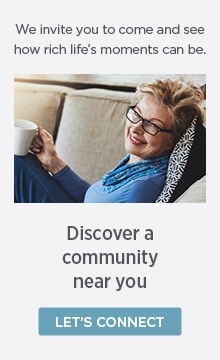 When looking for new areas to call home, consider the health care that is available, the senior community resources nearby, and other features that fit your lifestyle. These may include exercise areas, entertainment options, dog parks, grocery stores, shopping malls, and more. When choosing a house, condo, or apartment, think ahead to what physical accommodations will be helpful as you age. These may include single-level living, open floor plans, elevators, and other features that support your day-to-day activities. A home in a senior community. Many decide that the best choice is to find a senior community where all their needs can be met — both now and in the future. The right community will provide everything from housing to transportation, meals, social activities, exercise programs, help with daily tasks like cleaning and shopping, health care, and even the opportunity to bring your pet. What’s key is that these services can be tailored to your changing needs. Initially, you may live totally independently, with no need for help with daily living activities. But, if that should change, you can add the services and care you need without having to move. It’s a reassuring feeling to know you have long-term security. Plus, your family will appreciate knowing you're in a safe, friendly, and supportive environment. These days, many people decide to make the move to a senior living community long before they require any personal care services. For some, it’s a matter of security, for others it may be wanting the built-in community and social events that senior communities provide. For many, there’s a sense of empowerment that they’re able to make their long-term plans on their own, choosing for themselves how they want to spend their later years. If health circumstances change, they know they’re already prepared for that and will be able to receive the care and services they need without having to move from their home. Of course, cost is a major consideration for any aging in place option you choose. As you start planning, it’s a good idea to have conversations with financial and legal planning professionals. There are even legal and financial advisors who specialize in aging in place planning. They can advise you and make suggestions for how best to manage your finances with aging in place decisions in mind. They can help you answer key questions like: How will you pay for long-term medical care if needed? Who will manage your financial resources, care coordination, and other details if, for some reason, you’re not able to? Not sure who to talk to? You can find a certified financial planner here and a law attorney here. Still wondering if an aging in place senior community is right for you? Here are the top three advantages to making the transition. Moving to a senior community that supports aging in place means you’ll never have to move again. While any move can feel overwhelming — especially if you’re leaving a house you've called home for many years or even a lifetime — many seniors find it a relief to know they won’t have to move one more time! For most, just knowing that provides a deep sense of safety and security in their new home. With aging in place, there’s no need for you to relocate in order to take advantage of additional care services. Sometimes, added services are needed only on a temporary basis such as recovering from an illness, injury, or surgery. Or, new services can be added on an ongoing basis to support changing needs for day-to-day assistance or long-term health care. Making a move to an aging in place community can support you from independent living all the way through skilled nursing care if needed. A senior living community can offer peace of mind for you and your family because of the high safety standards and security precautions communities offer. Most offer controlled access to regulate who is visiting and have emergency response systems in place throughout the community. From minor assistance with a household chore to handling a medical emergency, the community and staff are always there for you. As with any life decision, making the right aging in place choice for yourself takes research and planning. You’ll want to consider if and when a move is right for you. That includes deciding whether your current home can still serve your needs and for how long. If you’ve decided it’s the right time to make a move to a senior community, take the time to consider all your options. Here are some more resources to help you get started.